There are numerous tools available within the Family Law Rules to assist in the gathering of evidence in preparation for family law proceedings. These include Notice to admit facts, Subpoenas, Answers to Specific Questions amongst others. Below we explore a number of these tools and at what stage of proceedings they are available and prudent to be utilised. (a) Discovery and Inspection against the Respondent under Order 20. The importance of discovery and inspection against the Respondent should not be underestimated. While in the vast majority of cases, informal discovery should be the way to proceed to minimise costs, certain cases clearly fall outside that category. Any Affidavit of Documents should be carefully checked and more than just a cursory examination of the material set out therein should be undertaken. An experienced practitioner or an investigative accountant should sift through the discoverable documentation. Do not accept the other party’s invitation to copy material and make it available to you if you suspect anything. Fortunately, discovery and inspection is available at an early stage in proceedings. Properly undertaken, it can uncover valuable clues as to whether you are looking at a constructive trust argument or a possible Section 85 (setting aside) Application. While the other party must make full and frank disclosure, the fact is that many do not do so. As to what the obligations are in this regard both as Applicant and Respondent, see for example Briese v. Briese. There may be times where this procedure can be put to effective use. It is not available until after discovery and there is a limit of one request without the leave of the Court. The difficulty is that if your questions are not worded very carefully, you may not achieve the answer you want, merely a denial on a technical point. Generally speaking, this procedure is rarely resorted to, remembering that it is the ‘less than frank’ other party who will be providing the answers. If you do decide to take this step, the approach is to file and serve the questions on the other party, who then has 21 days after service to give the answers or make appropriate objections. A disadvantage with this procedure is that you put the other party and their supporters on notice as to the sorts of questions you want answered. You may wish to hold some questions back for the witness box or for other witnesses. The questions might therefore be limited to the obtaining of information before issuing subpoenas or investigating other avenues. This will have to be discussed in detail with Counsel, the investigating accountant and the client. There is no ‘right answer’ for the best way to proceed. Every case different. If the Respondent is proving difficult, this may set up a successful application for costs. Coupled with an effective request for Answers to Specific Questions, this will start the investigative process in the right direction. Again, a notice is served in writing in accordance with the specified Form 27. If the other party does not dispute the facts set out within 14 days after service, then that fact or document is admitted by the other party. Subrule 6 provides that where a party serves a Notice Disputing a fact or document and afterwards is proved to be wrong, the Respondent shall (emphasis added), unless the Court otherwise orders, pay the costs of proof. Too often solicitors tend to serve a ‘standard form’ Notice to Produce and pay little attention to what is ultimately produced at Court. The Respondent’s solicitors often wonder whether the document is served merely to ‘upset’ the client. Properly used, it is the appropriate method of ensuring that documents in the hands of the other party are brought to Court to be placed in evidence if required. Again, an experienced solicitor or investigating accountant should be available to inspect the material provided. This is how to obtain production of specific documents from third parties. It is a means whereby certain documents can be examined before trial. It does however, have its limitations in that it refers to documents and their production. There is no procedure here for cross-examining the holder of the documents. In procedural terms, an application needs to be filed and served (using the specified Form 8), together with a supporting Affidavit. That Affidavit must set out sufficient material to satisfy the requirements outlined by Treyvaud J. in In the marriage of J, being: That the documents sought to be produced exist. That the documents are in the possession, custody or control of the Respondent to the Application (not the other party). That the documents relate to a matter in question in the proceedings and which the Respondent could be required to produce at the hearing; and That it is just that the Applicant should inspect the documents. Anyone considering this procedure should carefully read that decision to ensure that these requirements are satisfied. His Honour commented that he was prepared to assume that Trustees and Companies will as a matter of course prepare and hold copies of relevant Trust Deeds, balance sheets, distribution Minutes and taxation returns. This class of documents in fact represents most of what you would probably want in situations where the other party is a beneficiary of a Trust controlled by a third party. Be aware that the third party’s costs may have to be paid by your client. Service of documents on the holder of the documents is to be in accordance with Order 18 Rule 5 (1) or (2). This is either personal service for a natural person and ‘appropriate service’ in the case of a body corporate. The other party also has to be served (via their address for service). A careful reading of Order 20 Rule 7 and following is strongly recommended when considering such an Application. With the above procedure, you are very much in the hands of the Court and its discretion. Generally speaking, the Order 20 Rule 7 procedure is not often used as more often better results are obtained by the use of Subpoenas. Again, Treyvaud J. confirmed this In the marriage of Epstein , where (at page 592) he indicated that properly used, subpoenas were the only means available to obtain inspection of documents not in the possession, custody or control of the Respondent. It was a sensible way to require production of documents in complex cases, well ahead of the date for final hearing. The problem then is to ensure that you have a hearing date ‘well before the final hearing’. The best way to achieve this is to seek orders such as for interim spousal maintenance, injunctive relief, security for costs (commonly known to Victorian solicitors as a ‘Barro’ application), or even to run a Section 85 Application to set aside sham transactions. You cannot use the compulsory Order 24 Conference date. There is no allowance for cross-examination of witnesses at this stage of procedures in any event. The decision of Epstein is worthwhile reading, if only to get an idea of the broad class of documents which may be relevant in a complex case. The key word however is ‘may’. The Judge indicated that the production of a document by a stranger is only required if the document is sufficiently relevant to the action. Just because a marriage was a long marriage, does not make all documents relevant. The clear message is that you must target the particular document or class of documents you want, and ensure that they are specified with particularity. The trial Judge also made reference to the fact that subpoenas on companies should be addressed to ‘The Company by its proper officer’. This ensures that the Company is directed to produce the requested documents. Most practitioners are aware of the procedure for serving a subpoena to produce documents and/or give evidence. Be aware of the time limitations set out in Order 28, and to the provision of appropriate conduct money. 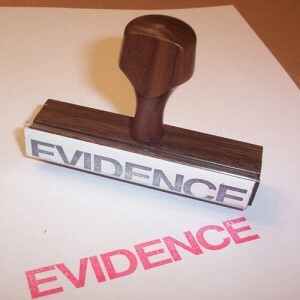 The major benefit of a subpoena is that a third party can be called to give evidence as well as to produce documents. Extend courtesy to genuine third party witnesses. Let them be on call. Telephone financial institutions as soon as you can to discuss precisely what is needed. There is nothing worse than a bundle of subpoenas being issued and the first contact a witness has with the person issuing the subpoenas is when they are at the Family Court. Small wonder most third parties have a very bad impression of the legal process. Subpoenas are all very well. However, who pays witnesses’ expenses? If you are not successful in proving the other party to be a liar, your client may end up footing significant costs for the production of documents and for witnesses’ expenses. It is not a process for the faint hearted and clients need to be warned about the possible ramifications of simply issuing subpoenas on everyone of possible relevance, which is sometimes done (e.g. Mrs Epstein). A carefully worded Notice to Produce may be of greater use in the interlocutory stages. It is too late and too risky ‘finding out’ at the final hearing. Following the first directions hearing, use the time before the final hearing to do something about issuing subpoenas returnable before that date, if necessary. Arrange for the matter to be listed before the trial Judge and to request a mention date seven to fourteen days before the final return date. This can be the return date for subpoena for the production of documents. However, the problem of cross-examination of witnesses is still not resolved. At this point, that can only be achieved at the final hearing and that may be too late. You need to think about your case well beforehand and if necessary apply for appropriate interlocutory orders and to have interim hearing. Even so, costs may prohibit or limit this idealistic approach. Order 21 allows the seizure of documents or records on an urgent basis and usually without notice to the person to whom the Order is directed. Typically, the target would be a bank safety deposit box. This technique has been used with some success in limited circumstances. Sometimes actual assets such as cash is found. More likely, useful documentation is forthcoming. Also available are the injunctive powers under Section 114 of the Act, to preserve assets. However, this is usually not an avenue for discovering or determining control of those assets. For an example of a case where an ‘Anton Piller’ order was granted, see In the Marriage of Mazor . 1986 FLC 91-713. See also Oriolo and Oriolo (1985) FLC 91-653 and Black and Kellner (1992) FLC 92-287. Each party must make a full and frank disclosure in financial matters. This is fundamental to the whole process under the Family Law Act. (1988) 12 Fam LR 836. Note the comments on this procedure in Degraff and Degraff (1991) FLC 92-224, suggesting that it is rendered redundant by the proper use of a subpoena returnable before the final return date. Another vote in favour of ‘discovery by subpoena’? 1 NSWLR 372 at 381. This decision also supports the proposition that if the person producing the documents does not object to inspection, then normally there would be little reason not to permit inspection by either party. With a little luck, and with the other party being careless, a widely drawn subpoena may be very effective. ‘An Accredited Specialist in Family Law, Peter was thefounding Chairman of the Advisory Committee to the Accreditation Board for Family Law Specialists in Victoria. He is also a trained Collaborative lawyer and Mediator.